Held in Melbourne, Victoria on 27th May, 2001, men from all over Australia came to contest this prestigious title – everyone wants to be Mr. Australia!! 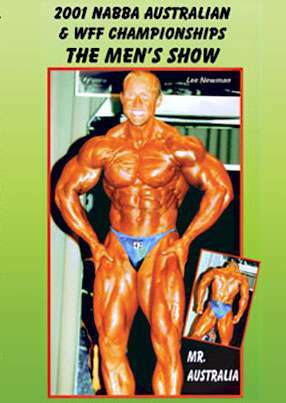 But only one can take the title, and this year it was popular LEE NEWMAN from Queensland. Two new classes in this year’s event – Men’s fitness, and Men’s Athletic Physique. These classes are enormously popular in Europe, and just beginning to take off here as well.